But, getting abs is not the result of some secret combination of abdominal exercises. Instead, it’s a matter of reducing body fat through diet, exercise, and supplements. 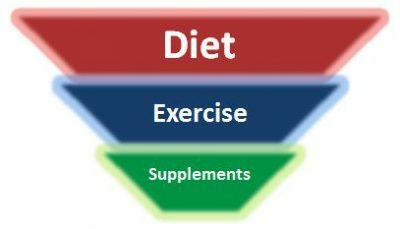 The first thing you should know is that diet is the most important aspect. To put it simply, you can do crunches until the cows come home, but if you don’t eat right, you won’t have abs. Still, exercise is part of the process of getting abs. However, you’ll need to incorporate more than just abdominal exercises to burn away the fat. Lastly, supplements provide a little extra boost. So I’ll share with you 5 of my favorite fat burning supplements. From there we’ll put the pieces together and figure out how long it will take you to get abs. So let’s start with the most important part of how to get abs – your diet. The abs diet is all about burning fat. As a result, the most important thing is that you eat fewer calories than you burn. In other words, create a calorie deficit. But in order to create a deficit without overdoing it, you first need to know your TDEE. Otherwise known as your personal calorie target. From there you can determine how many calories to eat to burn fat. Next, you need to know your target macros. That is, how many grams of carbs, protein, and fat you should eat each day. For fat burning, your macros will generally be low carbs, high protein, and moderate fat. But your exact targets depend on your body. 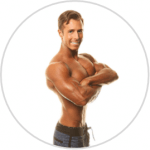 So check out my macronutrient calculator to find your personal macro targets. Finally, you need to hit your macro and calorie targets by eating healthy foods. However, that’s easier said than done when what’s considered healthy seems to change every month. For that reason, I created a simple healthy grocery list that you can take with you to the store. Working out to get abs takes more than just abdominal exercises. Because ab exercises don’t significantly increase the amount of belly fat that you burn. Imagine your body fat as a big puddle of water in a parking lot. After a couple of days without rain, the puddle starts to dry up and shrink. But it doesn’t happen all at once. Instead, shallow areas dry up first. While deep or shady spots take longer to go away. Eventually, with persistent sunshine, the entire puddle is gone. Revealing all the lines and details of the parking lot. In much the same way, your body burns fat in a predefined order. And there’s not much you can do to make the “deep spots” disappear before the “shallow spots”. Unfortunately, your lower belly is one of those stubborn spots. But like the sun, with persistence, you will dry up the whole puddle and reveal all the lines and details of your abs. For that reason, you should focus on burning as much total fat as possible. And the best way to do that is with a HIIT cardio workout. This kind of training burns the most calories in the least time. With that said, specific ab training adds definition and details once you burn the fat off. Not to mention it strengthens your core. So you should include ab exercises in your workout routine. As an example, check out my 10 minute intense ab workout. Enter your email to get my 10 Minute Ab Workout PDF instantly delivered to your inbox. It’s important to realize that there’s no magic pill that’s going to let you eat whatever you want and still get washboard abs. You have to put in the work with diet and exercise. However, there are supplements that will boost fat burning and help you reach your full potential. Click the link below to see a list of the best fat burning supplements and order them on Amazon. Now that you know all 3 steps for how to get abs, it’s important to set realistic expectations for how long the process takes. In physics, there’s a law of conservation of mass. It states that you can’t create or destroy matter. In layman’s terms, you can only convert stuff into other stuff. In the same way, you can’t just lose fat into thin air. Instead, your body has to convert it into water or carbon dioxide to get rid of it. And that requires a lot of energy. As a result, you can consistently lose up to 1.5 lbs of pure fat per week. More than that and you risk losing muscle mass as well. So how long it takes to get abs depends on how much fat you have to lose. Enter your weight and body fat percentage to find out approximately how many weeks it will take for you to get abs. Don’t know your body fat percentage? Learn how to measure it. In summary, there is no shortcut to get abs. Instead, it takes a clean diet, consistent exercise, and a little help from supplements. Additionally, you won’t see results in a few days. Or even in a few weeks in most cases. So it’s important to stay the course and be persistent. 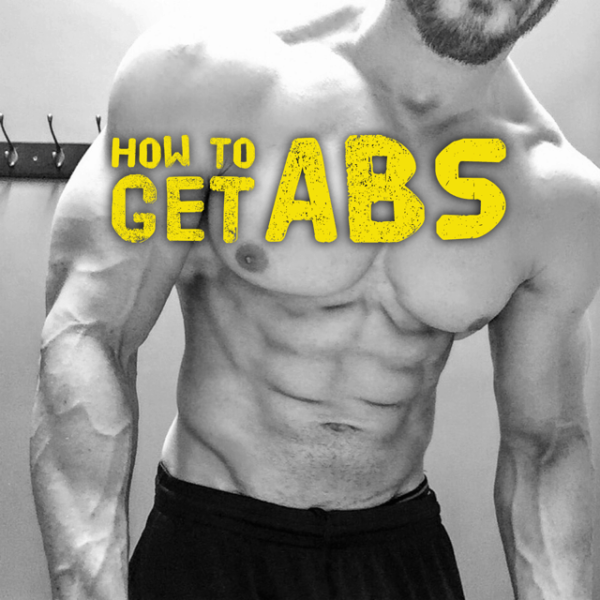 The good news is, you can get a plan to show you step by step how to get abs. With a Custom Meal Plan from Nutritioneering, you get personalized calorie and macro targets updated weekly. Plus an easy template to create your daily meal plan in minutes. Also, you can add workout and supplement plans to help you reach your goal even faster. Click the button below to customize your fat loss plan and start getting abs today.